OPPOSITION MDC leader Nelson Chamisa (pictured) yesterday snubbed President Emmerson Mnangagwa’s national dialogue meeting at State House, saying the process was a flawed public relations stunt meant to appease the international community, instead of resolving the political and economic crisis in the country. Mnangagwa, who won a disputed presidential poll in July last year, invited all 23 politicians who contested the presidential election to a meeting yesterday to draw up terms for a national dialogue, but Chamisa, who leads the main opposition party in the country, said the call was meant to hoodwink the international community following a brutal crackdown on protesters by security forces which killed 17 and left hundreds nursing injuries, including gunshot wounds. Chamisa maintains that he won the July 31 election and calls Mnangagwa illegitimate. He told NewsDay that he was still open to dialogue if his opponent showed a “genuine desire” to end the political and economic crisis. “The real dialogue that we are supposed to have as a nation has not started, not these games. We have a political crisis arising out of a disputed and rigged presidential election result in Zimbabwe. The presidency is disputed. We need genuine dialogue under a credible convener and mediator to solve this crisis. Stop citizen abuses, beatings and arrests,” he said. The opposition leader said Mnangagwa was treating him like a toddler. “Mr Mnangagwa and his colleagues are making a mistake of thinking that he is talking to just a 41-year-old. When he is engaging me, he is talking to 2,6 million voices. So, in my voice, there are 2,6 million voices of Zimbabweans and he should not expect to meet with them because they will not, they have sent me,” he said. MDC officials said they believed that Mnangagwa had called for dialogue ahead of the Africa Union summit to avoid possible criticism from the continental bloc, which is reportedly worried about the unfolding events in Harare. “Just last week, Presidential spokesperson George Charamba was on record saying they don’t want talks, but all of a sudden, they want national dialogue ahead of the AU summit and at a time the United Kingdom is now considering fresh sanctions. These are not genuine talks, it’s PR,” an official said. Chamisa’s spokesperson Nkululeko Sibanda said there were many things wrong about the talks, which included the venue, the chairperson and victimisation of the party. “We can’t, in all honesty, send president Chamisa to State House. When you call for dialogue, you discuss with equals and that should be reflected on how this is handled. The short notice, the shifting of venue and dates will show you this is not about talks, but a power game and we are not interested in those games,” Sibanda said. The National Patriotic Front (NPF), which is represented in Parliament by Masango Matambanadzo, also snubbed the talks, calling on Mnangagwa to first stop the alleged victimisation of party leaders. “As a party, our deputy national commissar, Jim Kunaka, and our Mashonaland central chairperson Dickson Mafios are languishing in prison as political prisoners. Several high-ranking officials skipped the borders running away from State security agents hunting them as if they are common criminals … We believe as a party that dialogue aimed at extricating our country from the current mess must be facilitated and guaranteed by an international body given powers to superintend over implementation of any agreement,” NPF said. The Platform for Concerned Citizens (PCC), jointly convened by academics, Ibbo Mandaza and Tony Reeler, said Zimbabwe could only navigate from its current crisis through a people-driven dialogue, where several topical issues would be discussed. “Zimbabwe is a more divided country than at any time since Independence,” the PCC said in a statement. PCC said there was evidence that the Constitution was violated and that there was need to restore the rule of law in the country. Crisis in Zimbabwe Coalition (CiZC) said the meeting called by Mnangagwa was exclusionary and against the spirit of promoting national dialogue. CiZC said a national dialogue process must never be restricted to political parties, but should rather bring on board a cross section of stakeholders that include civic society, labour, women, youth, person living disabilities, farmers, media, students, the diaspora, religious groups and business among other critical stakeholders. “Restricting the dialogue process to political parties will only create a political pact that excludes the concerns of ordinary citizens,” CiZC said. Among the candidates who took part in last year’s presidential poll include former Vice-President Joice Mujuru of the People’s Rainbow Coalition, former Deputy Prime Minister Thokozani Khupe of the MDC-T and little-known aspirants, Melbah Dzapasi of #1980 Freedom Movement Zimbabwe and Violet Mariyacha of United Democratic Movement. The other candidates included Noah Manyika of Build Zimbabwe Alliance, Joseph Busha of Free Zim Congress, Blessing Kasiyamhuru of ZIPP, Brian Mteki an independent, Lovemore Madhuku of NCA and Nkosana Moyo of Alliance for the People’s Agenda. 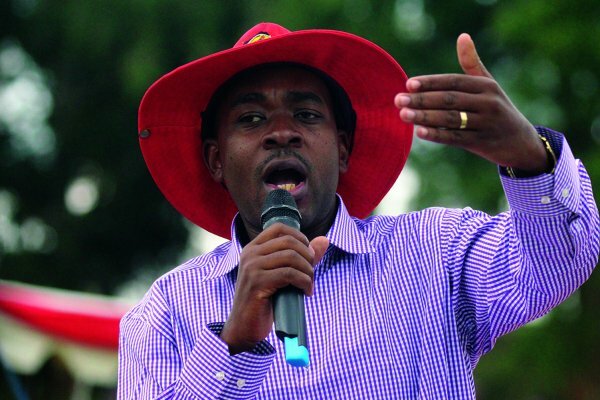 The post Chamisa snubs ED talks appeared first on NewsDay Zimbabwe.